This picture took me forever to finish. Unfortunately, because there are so many of them, I wouldn't be able to include each and every single mathematician that deserves recognition. These ones are mostly ones I'm most familiar with from my math history class. 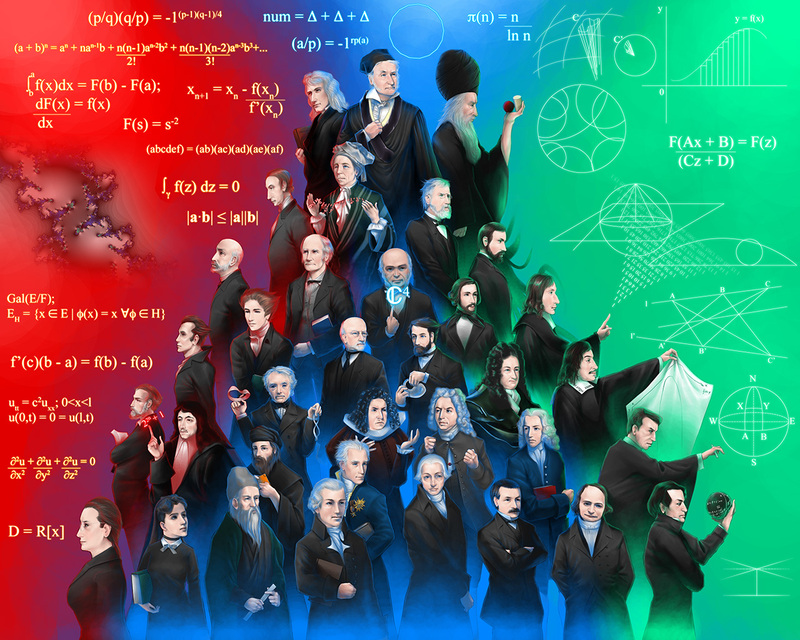 Click on this link for more details about the mathematicians in the picture. the blending of colors are great. wish i could do that!! It looks badass. Fantastic. I fav. This reminds me of the old saying about standing on the shoulders of giants. congrates on the feature:)!!! that is really amazing!!! i can imagine that taking forever. you did so well on their faces and the detail. i love the math signs in the background!!! That must have taken you ages to do! Kudos for giving each and every mathematician detail!